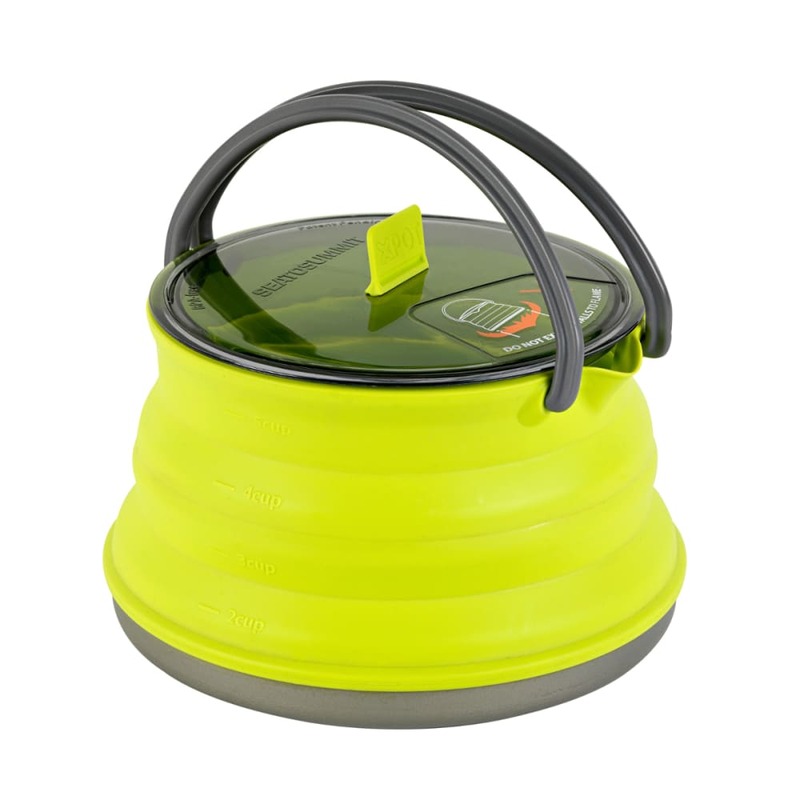 The X-Pot / Kettle is a tiny addition to your cook kit collapsing to 1 3/8” (35mm) with a 1-liter safe boiling capacity. A perfect complement for freeze-dried food, this kettle is all you need for two warm meals in one boil. 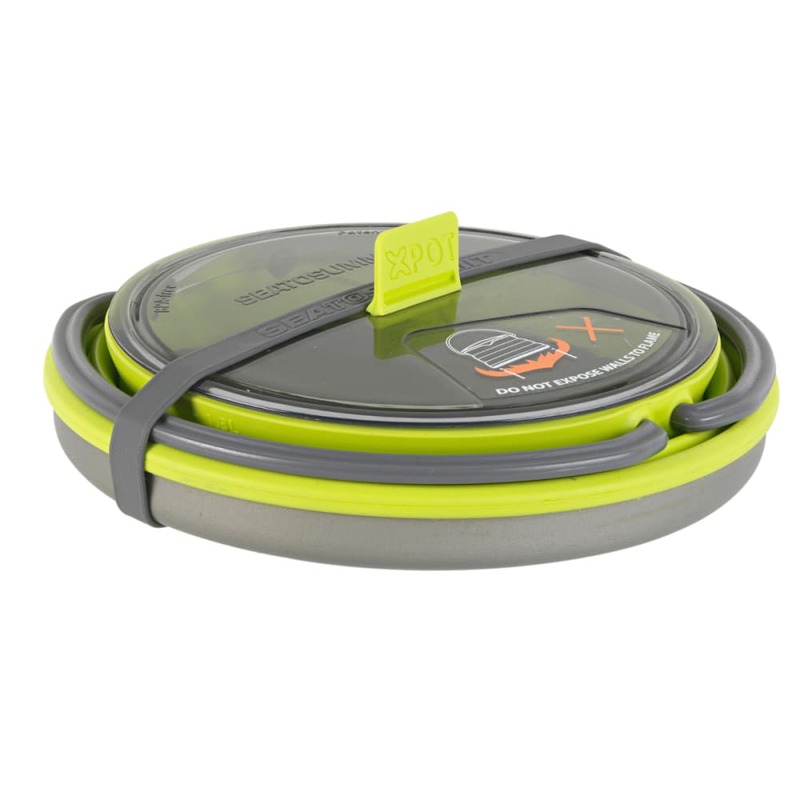 The wide base absorbs maximum heat from the stove while protecting the silicone walls. Two glass-reinforced Nylon 66 handles support the upper rim and improve control when pouring.